Tétouan like much of Morocco’s cities is rich in history and culture. 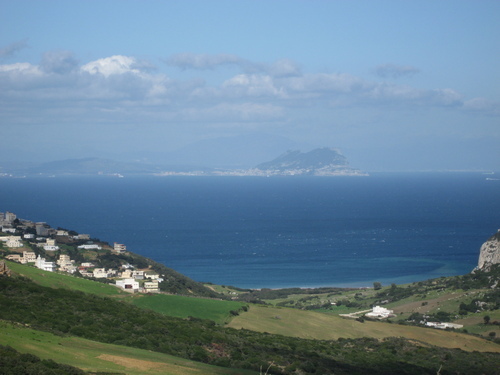 The town is located between the Rif Mountains rising up from the Mediterranean Sea. For over 40 years it was under Spanish Protectorate and even today the town has its unique Moorish-Spaniard look and feel with its whitewashed walls and shuttered windows. 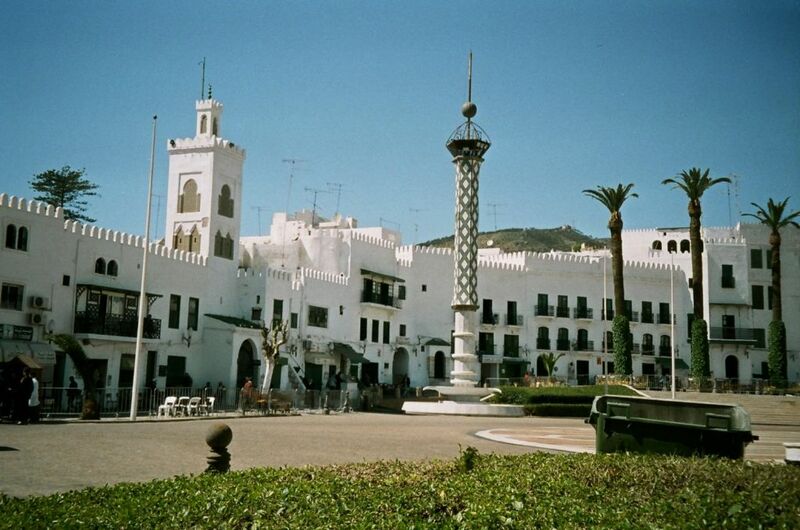 The city is well kept and boasts a historical medina which is bequeathed as a UNESCO World Heritage site. For the beach comber, Tétouan has some of the best beaches in Morocco that are within a short distance, no more than perhaps a half hour drive. You will find Tétouan will fascinate you with all that you would expect and more from Morocco with its grand mosque, museums, art shops and some of the best restaurants for dining. The Medina of Tétouan is different from other medinas in Morocco in terms of its history, culture and its geographic landscape. The medina is surrounded by three mosques and four modern minarets and the Royal Palace. As most of the medians’ in Morocco, the Medina of Tétouan main square is its center of attraction for meeting and relaxing at any of the cafes. The gate of the medina is Bab er-Rouah, which leads from the square’s southeast corner. The oldest gate of the medina is Bab el-Okla, located on the southeast corner of the medina. Historically the southeast corner of the medina boasted richly designed houses that were built during the 19th century, however today most of these houses are converted into large carpet showrooms. There is so much to appreciate about the Medina of Tétouan. The city is a great place for taking long walks to the top of the hills, through the city’s quarters and enjoys the historical and cultural dimension of this age-old city. The Archeological Museum has an impressive collection of artifacts from the Roman ruins of Lixus and is located on the Ave al-Jazaer and carries an admission fee of 10 Dirham. The museum’s hours are Mon to Fri 8:30am to noon and 2:30 to 6:30pm. The Ethnographic Museum has a pleasant garden with old cannons and a great view of the Rif Mountains. It is located inside the Bab el-Okla and carries an admission fee of 10 Dirham. The museum’s hours are 9am to 4pm Mon to Fri.
Visit the Museum of Modern Art to get an insightful opportunity of traditional arts, exquisite silk costumes, elaborate mosaics and ornamental woodwork. The building is a work of art and is set in a large court yard, with the interior ceilings boasting elaborate designs. Opening hours are Mon to Fri 8am to noon and 2:30 to 5:30 pm. The Mediterranean coast in Tétouan has some of the most beautiful beaches in Morocco. The coast offers a range of traditional fishing villages, coastal summer towns and luxury hotels. The coastal towns that are in close proximity to Tétouan are Martil, Mdiq and Fnideq attracts visitors for its beautiful beaches and its range of beach activities. A large part of the coast consists of rocky beaches with sandy beaches. Azla is popular for its beautiful bay, whilst Oued Laou (Wad Law) is further distance along the mountainous road across the coast. The coastal is mostly sunny with temperature ranges from 27c and 35c degrees during the months of July and August. 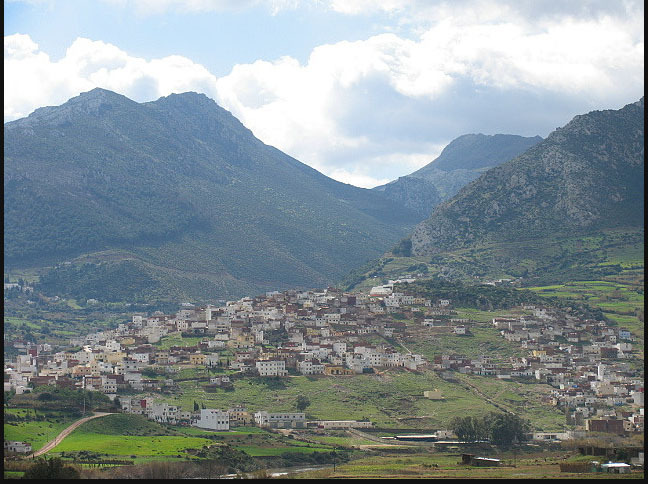 The rural areas of Tétouan will take you through the Rif Mountain range to the villages in the Jebala regions of Tétouan. There are a number of ethnic groups living in the Jebala region that are traditional in their local culture, ranging from their clothing, food and music. One of the many ethnic groups in the Jebala region is the Beni Hozmar, Wadras and Jbel Habib, just to name a few. Driving through the mountain passes; you can expect a very rich and diverse landscape that is lush in its natural geographical resources with a diverse rural culture and traditions that boasts elements carved by Mother Nature which includes natural pools and large waterfalls. Tétouan is worth the visit and a natural wonder once you are off the beaten path.